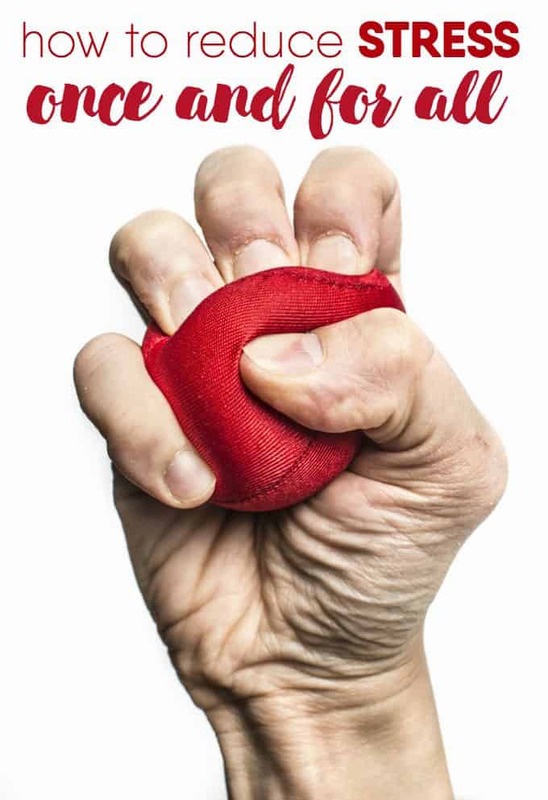 Chronic stress can lead to things like heart disease and depression. Those headaches you have now? Don’t let them get the better of you. I don’t know about you, but I find that when I get stressed out, I get blasting headaches. They are definitely my body’s way of telling me to take a chill pill, but since there is no such thing as a miracle pill for mild stress, there are some simple ways you can get your stress under control so that it doesn’t become chronic, leading to worse outcomes. I could list a dozen and a half ways to reduce stress: drink tea, take a walk, breathe through your eyelids (no, not really). These are ALL great ideas (well, maybe not the eyelids thing) but they don’t necessarily end up relieving your stress, long term. They relieve the symptoms of stress. The root cause? Still there, looming over you like a dark cloud. It might be time to deal with it. Step 1 – Figure out what it is that is stressing you out. You can’t deal with the problem unless you know what it is. Do you tend to say ‘yes’ too often and now you have too much going on? Do you have work and home to tend to, with little help from your family? Are there loved ones in your family that need special care, are your roof tiles peeling, is the air conditioner on the fritz AND your five year old’s birthday party is this weekend? Make a list of everything you need to do. Prioritize the list in terms of what tasks or activities are stressing you out the most and then re-number THAT list based on what matters the most to you. Now you have your priorities straight. Example? The school bake sale is next week. You have two projects to finish for work this week and next. Your eldest has a soccer game on Saturday. You promised your friend that you would meet her for coffee. For me, of that list, bake sale would go to the bottom; it’s time to decide that ‘good enough’ is AWESOME and store bought cupcakes never killed anyone. Maybe coffee with the friend is bottom of your list (because baking cheers you up)… whatever works for you. Step 2 – Take some time to figure out your time. With that list of priorities in hand, sit down (with the cup of tea I mentioned earlier) and figure out your time. Weekly, daily, monthly… however you prefer to manage your time, just sit down and do it. Time management is one of those things that ‘sounds’ simple when you talk about it but in reality, ends up being quite complicated for most of us. Whether it’s a whiteboard on your kitchen wall or a notebook in your bag, you need a system for organizing your day, and everyone else’s that is under your care and control. If you ask most moms, they’ll tell you that they have too much on their plates, between work, caring for the house and the kids and just keeping everyone’s lives organized. Ultimately, the goal is to drop from your list things that aren’t a priority and to make sure that those who are not in immediate need of care—husbands and almost adult children, for example—start taking care of things too. I know, I know… getting the 17 year old to unload the dishwasher is a challenge. But when there are no longer any clean dishes in the house, they might decide to step up. So much of our stress comes from having a lot going on at what seems to be exactly the same time. Putting things down on paper (or in your phone, or on the whiteboard) takes those things out of your head. Once writing everything down becomes a habit, you will rely on the notion that your list is there, that you aren’t in danger of forgetting anything and that there is no need to run through your list in your mind, all night long. And when you just need five minutes to calm down? Unplug – put the phone down and pick up a book. Laugh – seriously. Get someone to tell you a joke; turn on the Comedy channel. Get a belly busting giggle going on. Better yet, breathe deeply with aromatherapy oils in front of you. The scent of lavender has been proven to consistently reduce stress. Me? Basil. Dance to your favourite tune – it can be Madonna. We won’t judge. Hug a pet – hugging something furry will help calm you down. Avoid the goldfish for this one. Whether you need to deal with some long term stressors—like the laundry that never gets done by anyone but you—or a short term stress from which you need to take five, it’s important not to ignore whatever is bugging you. You only have one life: make it a good one. What do you do to reduce the stress in your life? I reduce stress by going to work! Lol. I have a part time job and it lets me take a step back from the stresses of home. Great ideas. I certainly have to work on this. We have several ill and dying family members, one with ALS and one with Alzheimer’s. It’s incredibly stressful to have this kind of illness happening in ones family. I try and stop to breathe everyday. Sometimes it works, sometimes I need that coffee, lol. Thanks for the article. These are excellent tips for dealing with stress, lord knows I need them:) Thank you for sharing. muscle relaxation. Google mindfulness, when you are worrying google cognitive therapy. Write down all of your worries, after each one write the logical answer. Tear up and recycle. Turkey, chicken, milk, yogurt and sunflower seeds are relaxing foods. I read lately, pickles help with social anxiety. Learn to be assertive, do not spread yourself or your family too thin. Avoid too much alcohol, caffeine and sugar. I believe everyone has stress in their life but it’s how we react to it that makes the difference, I was told that a long time ago by a heart specialist, but its easier said than done, especially when we overload ourselves in this day and age, kids should be taught to pitch in or maybe that pair of jeans or that iPod they want is out of the question, it does work. When I get real stressed I yell so I am working on that but it’s hard to change. These are definitely good tips. I like how you bring up laugh, I really find it helps bring my stress level down a lot. “.Laughter is the best medicine” and I’ve always found this to be true. Thank you … I needed to read this right now.